With Drupalcon now only a few days away, preparations are beginning to ramp up (or maybe starting to die down, depending on how much prep work your company has already done). Drupalcon is *the* Drupal event of the year—and with more than 3,000 attendees and 50+ expert-led sessions, there’s a lot to think about before boarding that plane to Portland. 1. Pack Appropriately - Doug Vann said it best. See his post here. By the way, Mediacurrent is giving away a portable phone charger so be sure come by our booth (139). 3. Network before you get to Drupalcon- We all know that you’re expected to mix and mingle once you get there, but you can lay a lot of groundwork before the event even starts. Connect on LinkedIn with people you’d like to connect with. Join the conversation on Twitter (#Drupalcon) and RT other’s announcements/sessions etc. BTW, Mediacurrent will be posting photos and a daily photo blog on our Facebook page. 4. Avoid the Drupal Flu- No kidding. 5. Familiarize yourself with the area- Drupalcon is going to be jam packed with action, so you’ll want to make sure you know where you can grab a bite to eat, pick up a quick cup of coffee, and refuel whenever you have any downtime. Finding a few minutes of quiet during those long days can help you rejuvenate, so you’ll be ready to jump back in when it’s time for those after-hours events. 6. Prepare your own elevator pitch- Are you looking for a new gig? Many of the sponsors at Drupalcon are hiring and even doing interviews *at* Drupalcon. So be prepared. 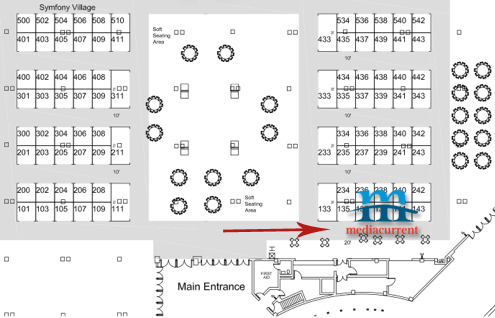 Mediacurrent is looking for Project Managers and Solutions Architects—be sure to come by our booth! 7. 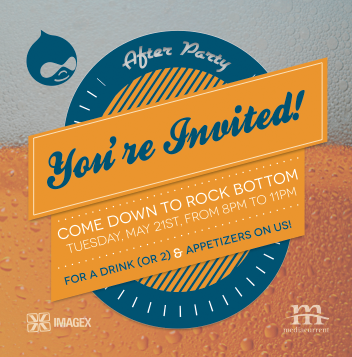 Plan to attend Mediacurrent and ImageX’s After Party - Join Mediacurrent and ImageX Media at Rock Bottom Brewery for an evening of drinks and networking. Stop by either of our booths for a ticket. 9. Study the Floor Plan- At Drupalcon you will meet prospects, clients, partners and peers. Do you know exactly where they will be? At an event as huge as Drupalcon it pays to have a map. Look over the floor plan. Check out where your scheduled sessions will be held. Familiarity with the space now will save you time later. 10. 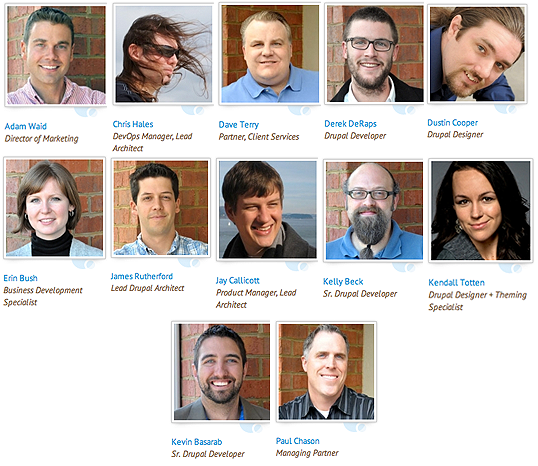 Plan to meet the Medacurrent team- Below are our teammates that are headed to DrupalCon. + one more tip! Ask Questions- The conversations can be more valuable than the sessions at a conference like this. Drupal is a great community, and you never know who you’ll meet, so talk to as many people as possible. If you’ve attended Drupalcon in the past, what other tips can you offer to help prepare? Let us know in the comments below!